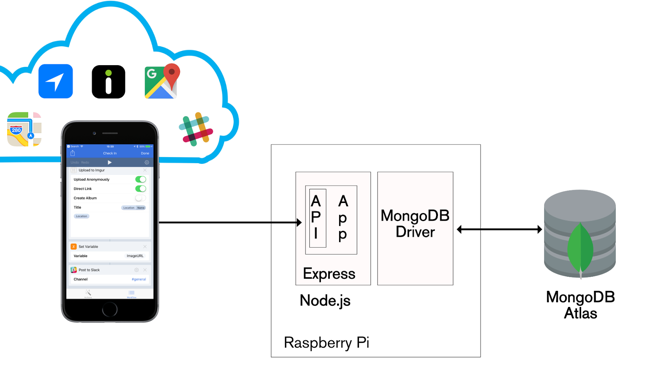 This is the sixth and final blog post in a series examining technologies such as MongoDB and REST APIs that are driving the development of modern web and mobile applications. 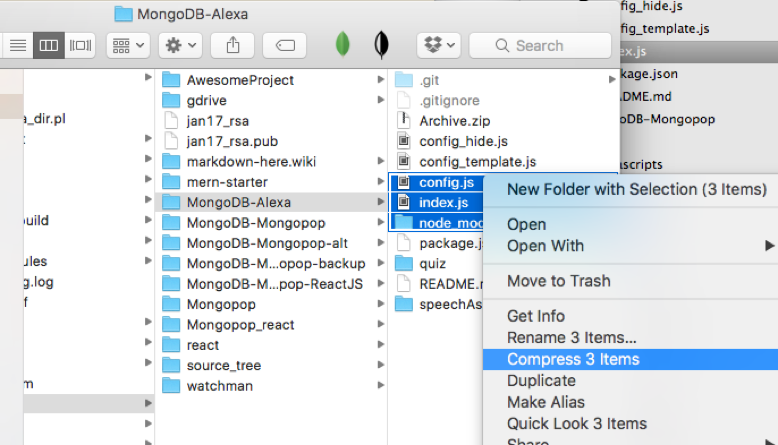 Modern Application Stack – Part 1: Introducing The MEAN Stack introduced the technologies making up the MEAN (MongoDB, Express, Angular, Node.js) and MERN (MongoDB, Express, React, Node.js) stacks: why you might want to use them, and how to combine them to build your web application (or your native mobile or desktop app). Subsequent posts focused on working through the end to end steps of building a real (albeit simple) application – MongoPop. 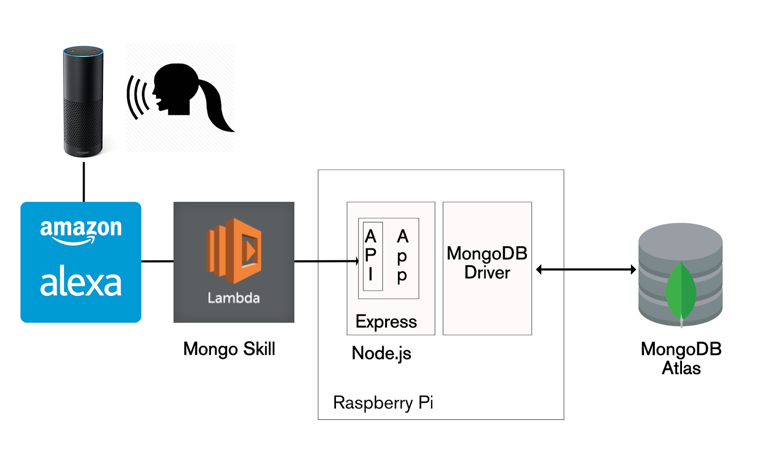 Part 2: Using MongoDB With Node.js created an environment where we could work with a MongoDB database from Node.js; it also created a simplified interface to the MongoDB Node.js Driver. Part 3: Building a REST API with Express.js built on Part 2 by using Express.js to add a REST API which is used by the clients that we implement in the final 3 posts. Part 4: Building a Client UI Using Angular 2 (formerly AngularJS) & TypeScript completed the MEAN stack by adding an Angular 2 client. Part 5: Using ReactJS, ES6 & JSX to Build a UI (the rise of MERN) does the same but replaces Angular with ReactJS to complete the MERN stack. This post takes a look at some of these approaches. Unlike some of the earlier posts, this one aims to go wide rather than deep – touching on many technologies rather than diving too deeply into any one. Stores the checkin data as a document in a collection. Returns a count for the total number of checkins. Retrieves the most recent checkin. The implementation of these methods follows the same pattern as already seen – refer back to Part 3 for details – and so is not explained here. There are frameworks for both Angular and ReactJS that enable web client application designs (and in some cases, code) to be reused for creating native iOS and Android apps. React Native provides the Fetch API to make network requests; it follows a similar patter to XMLHttpRequest (React Native also includes XMLHttpRequest which can be used directly). While it&apos;s not as simple as just rebuilding your ReactJS or Angular code to produce native apps, the reuse of designs, skills and (some) code make it much more efficient than starting from scratch. IFTTT (IF This Then That) is a free cloud service which allows you to automate tasks by combining existing services (Google Docs, Facebook, Instagram, Hue lights, Nest thermostats, GitHub, Trello, Dropbox,...). The name of the service comes from the simple pattern used for each Applet (automation rule): "IF This event occurs in service x Then trigger That action in service y". Note that the applet makes a POST request to the http://your-mongopop-ip:3000/pop/checkIn route. The body of the POST includes the required parameters – provided as a JSON document. Each of the VenueName, CheckinDate, VenueUrl, and VenueMapImageURL values are /ingredients/ from the trigger (Foursquare) event. The first example showed how to record a check-in into our own service as a side effect of checking into an existing service (Foursquare). What if we wanted to create new, independent check-ins, from a mobile device? What if we also wanted to augment the check-ins with additional data? Another requirement could be to let our team know of the check-in through a Slack channel. A valid approach would be to build a new mobile client using React Native or NativeScript. Slack and Google Maps have their own REST APIs and so the new App could certainly integrate with them in addition to our Mongopop API. Before investing in that development work, it would be great to prototype the concept and see if it proves useful. Workflow runs on your iOS device rather than in the cloud. Workflows are triggered by events on your iOS device (e.g. pressing a button) rather than an event in some cloud service. Workflow allows much more complex patterns than "IF This event occurs in service A Then trigger That action in service B"; it can loop, invoke multiple services, perform calculations, access local resources (e.g. camera and location information) on your device, and much more. Both applications/Workflows that we build here can be run on an iPad, iPhone, or Apple Watch. 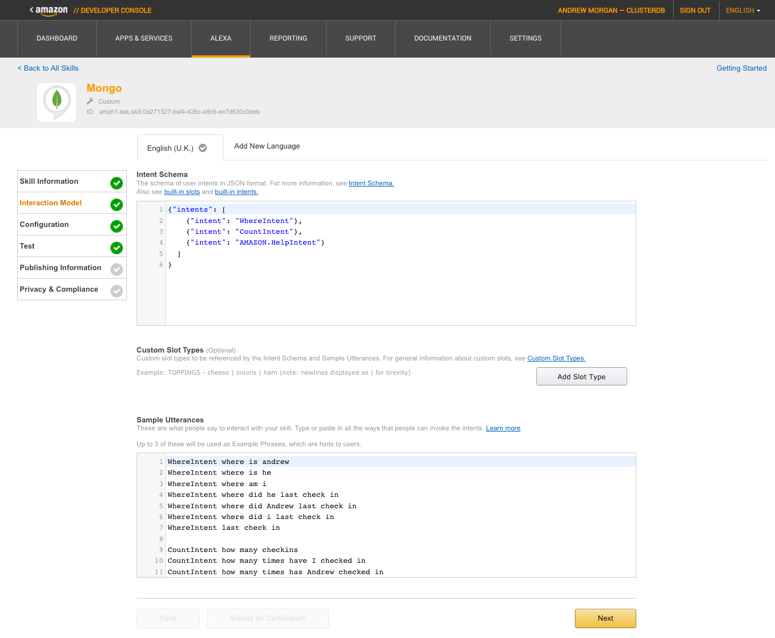 Implementing a Workflow involves dragging actions into the work area and then adding attributes to those actions (such as the address of the Mongopop API). The result of one action is automatically used as the input to the next action in the workflow. Results can also be stored in variables for use by later actions. Read from the /pop/latestCheckIn Mongopop REST API Route using GET. If the Mongopop operation fails, display an appropriate error. Two of today&apos;s biggest industry trends are machine learning and serverless computing. Amazon&apos;s Alexa service (typically accessed through Amazon&apos;s Echo device) is at the forefront of both. 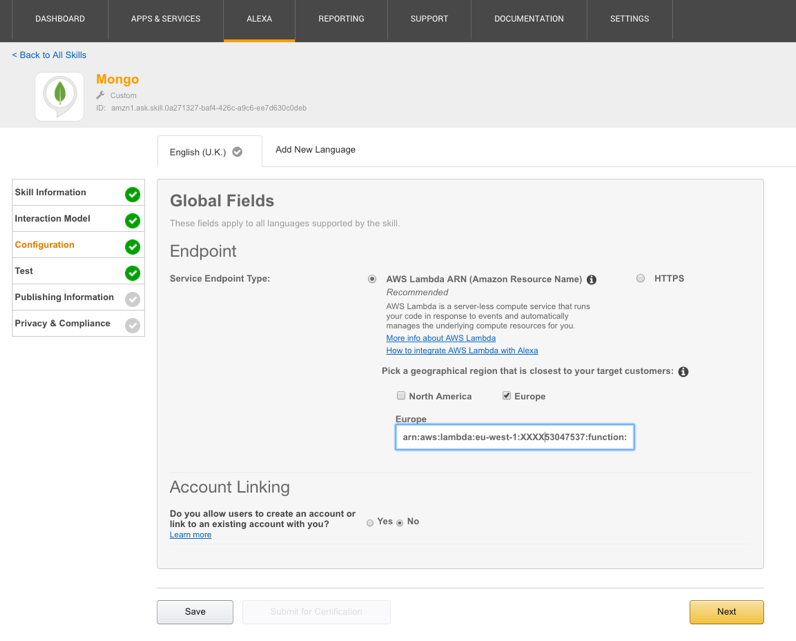 In addition to interpreting voice commands for Amazon&apos;s own services (e.g. ordering more coffee beans or playing a particular song), developers can implement their own skills. Many are publicly available from 3rd parties such as Nest, Harmony, and Spotify, but you&apos;re free to implement and test your own – submitting it for review and public use when ready. The business logic behind Alexa skills are typically run within Amazon&apos;s serverless computing service – AWS Lambda. 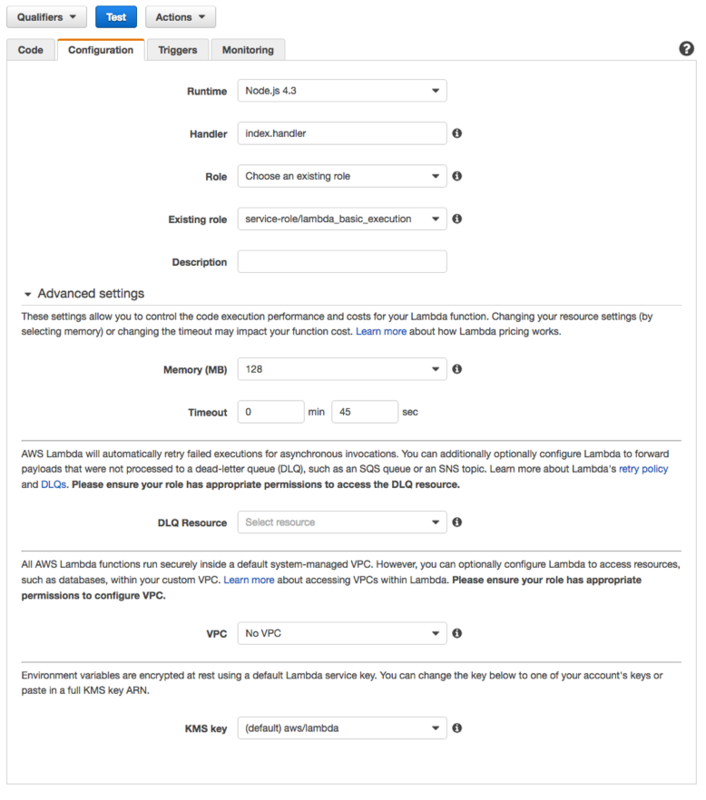 Lambda is a great product for services that handle low or bursty levels of traffic – rather than paying a flat rate for a physical or virtual server, you pay a small fee for every event handled (and you even get a low-medium level of throughput for free). If your service really takes off then Lambda automatically scales out. Note that no utterances need to be added for the AMAZON.HelpIntent as that intent is built in. Note that this is a simple skill which receives a request and sends a single response. It is also possible to implement an interactive state machine where there&apos;s a conversation between the user and Alexa - in those skills, the logic uses both the latest intent and the past context in deciding how to respond. 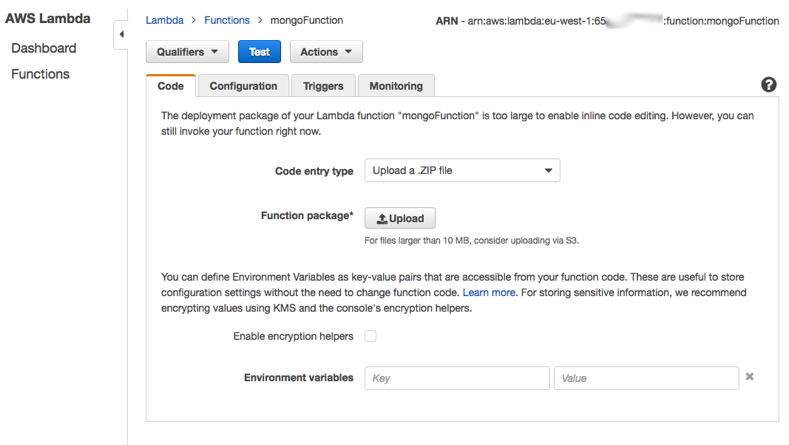 Note that the Lambda function is always stateless and so all data should be stored in a database such as MongoDB. Note that the visual card can contain more information than Alexa&apos;s spoken response. For example, if there is an error in the Mongopop back-end, the returned error message is displayed on the card. Previous posts stepped through building the Mongopop application back-end and then the creation of web client applications using Angular 2 and ReactJS. Built-in integrations give your application frontend access to your favorite third party services: Twilio, AWS S3, Slack, Mailgun, PubNub, Google, and more. For ultimate flexibility, you can add custom integrations using MongoDB Stitch&apos;s HTTP service. 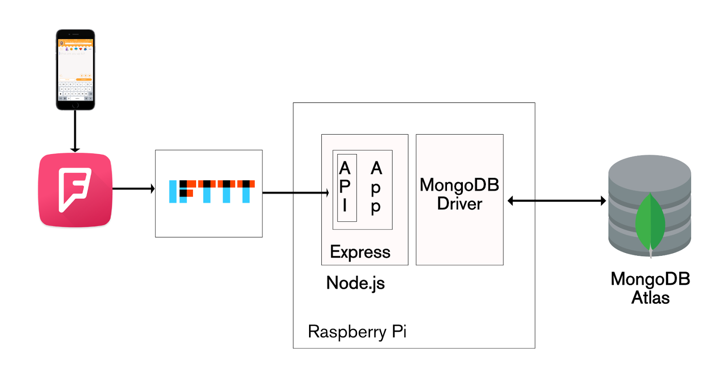 MongoDB Stitch allows you to compose multi-stage pipelines that orchestrate data across multiple services; where each stage acts on the data before passing its results on to the next. Unlike other BaaS offerings, MongoDB Stitch works with your existing as well as new MongoDB clusters, giving you access to the full power and scalability of the database. By defining appropriate data access rules, you can selectively expose your existing MongoDB data to other applications through MongoDB Stitch&apos;s API. If you&apos;d like to try it out, step through building an application with MongoDB Stitch. If you&apos;re interested in learning everything you need to know to get started building a MongoDB-based app you can sign up for one of our free online MongoDB University courses. Andrew is part of the MongoDB product team, responsible for building the vision, positioning, and content for MongoDB’s products and services, including the analysis of market trends and customer requirements. Before joining MongoDB, Andrew was director of product management for MySQL at Oracle – with a particular focus on distributed, highly available databases. Prior to Oracle, Andrew worked in software development for telecoms with a focus on HA, in-memory, real-time databases.